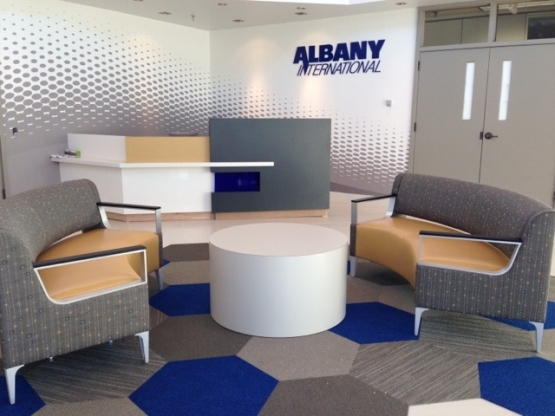 Office Interiors Limited | Albany International Corp.
Albany International Corp. approached Office Interiors Limited looking for assistance in bringing their outdated lobby up to par with the company’s brand image. 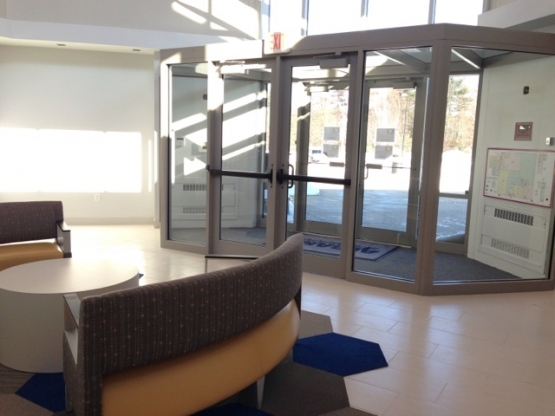 The lobby features a unique octagonal shape as well as a 32’ vaulted ceiling. 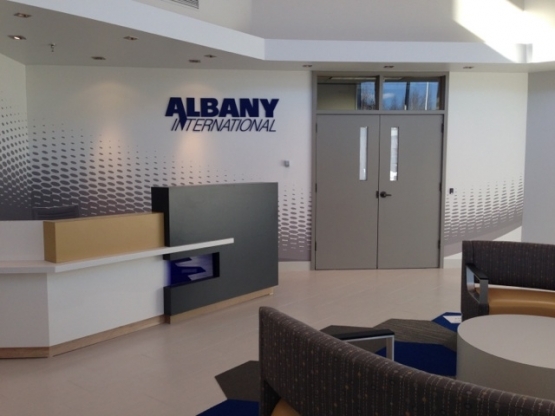 The initial design concept was actualized and makes the space look sleek, clean and state of the art, very much like the products Albany International Corp. manufactures.The 900 square foot center lobby with adjacent meeting room, was furnished with custom wall graphics and materials that speak to the company’s image. 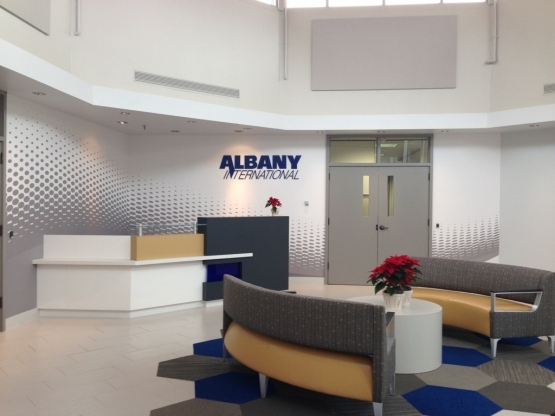 The room’s main focal point is the broadly displayed custom designed reception desk featuring the company's corporate colors. 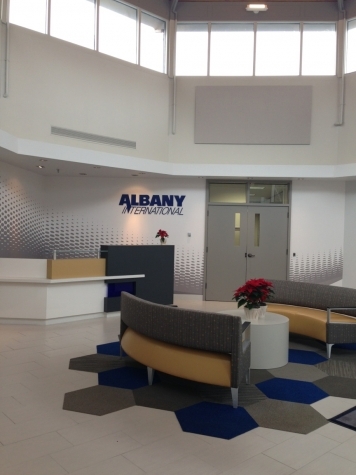 No design detail was overlooked for this small but important space, right down to the “carbon fiber” accent wall and square shaped recessed lighting.